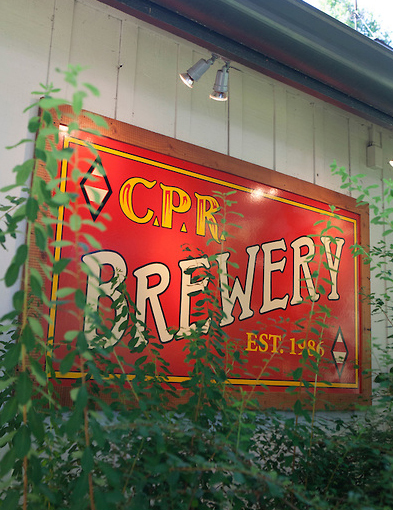 Here at Cornelius Pass Roadhouse, you'll find one of McMenamins' top producing Breweries, and the modern day Imbrie Hall Pub that was built from the timbers of Portland's historic Henry Weinhards Brewery. Initially housed in the old Roadhouse, this small Hillsboro Brewery shared space with the restaurant kitchen, to the extent that they shared the same hood fan as the burger grill. A decade later, the Roadhouse Brewery got its own decidedly upscale quarters. This is where Brewers Brady Romtvedt & Chris Oslin reside, putting their passion to work as they carefully craft each unique brew. You'll be glad you brought your curiosities as they have decades of experience that have lent stories they're willing to share with you. They’re also sure to share something delicious. At this tasting event, we’re offering some tasty taco pairings for purchase! Try spicy potato street tacos with Barn Owl Bitter, or carnitas with the Apricot Cream Ale. Make your very own combinations, but most importantly, enjoy these limited offerings because when they’re gone, they’ll be no more.